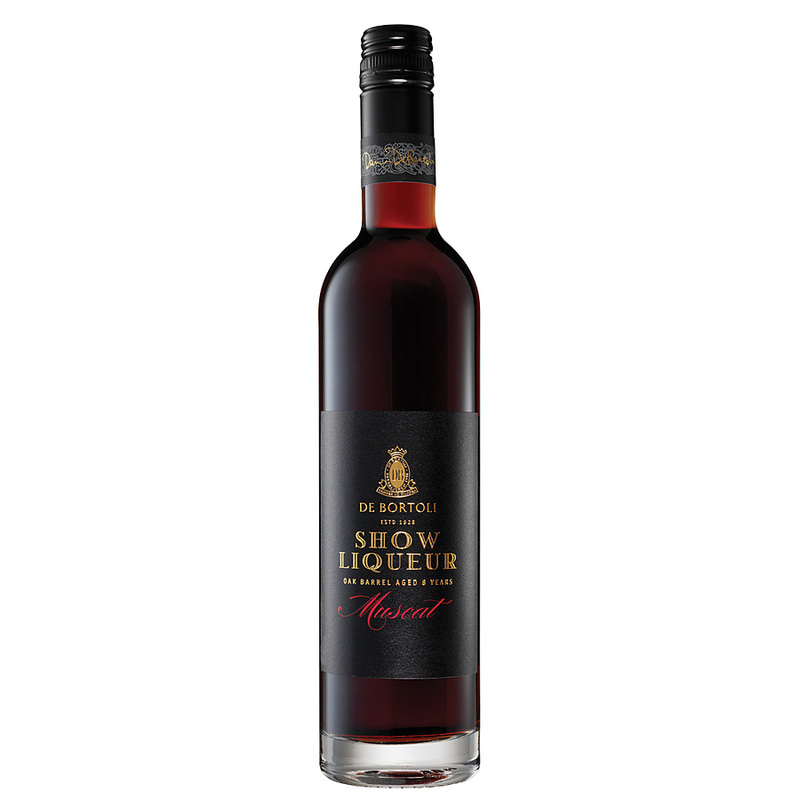 4.5	stars -	"Review for De Bortoli Show Liqueur 500ml" Dale Carter This De Bortoli Show Liqueur 500ml is the best Ports and Sherry I have tried. Nut brown colour with a slight green hue. Intense aromas of raisin, fig and spice with underlying floral notes. A rich and luscious palate exploding with rich Muscat flavours of raisins, figs, dates, toffee and caramel. Sweetness balanced with some vanillin oak notes make for a lovely lingering finish. Chocolate and dark fruit based desserts, or enjoy a glass after a meal with a platter of cheeses, dried fruit and nuts. Fruit is left on the vines to become very ripe before harvesting at 16-18 baume. Once harvested the fruit is crushed, partially fermented then fortified on skins to further extract the floral and aromatic flavours from the fruit. The wine is pressed off skins and then transferred to barrels for maturation.